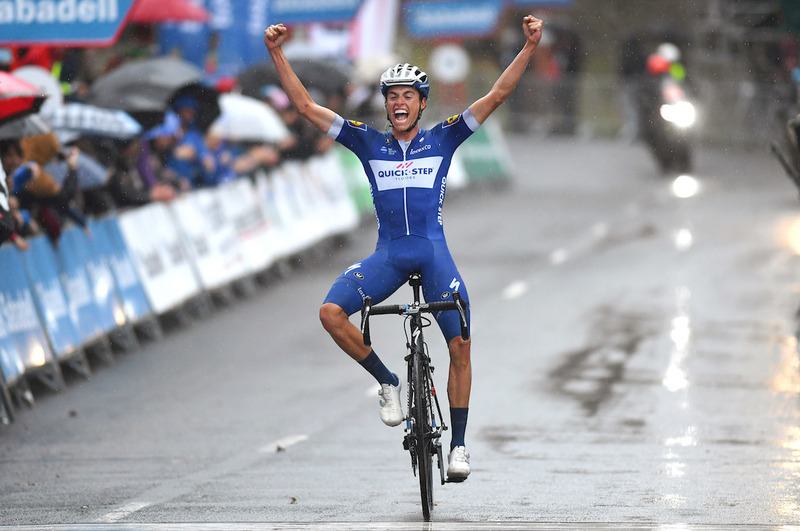 Quick-Step gets a double-delight Wednesday as David de la Cruz wins Pais Vasco stage 3 after Marcel Kittel's Scheldeprijs victory. 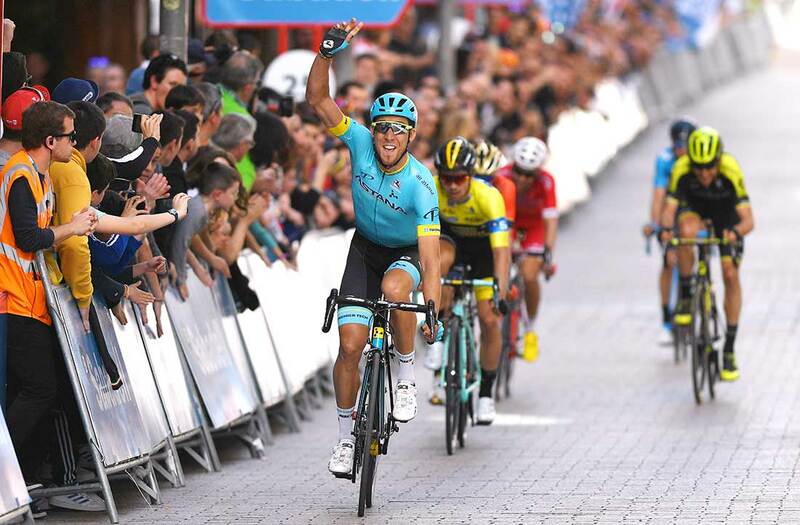 Less than an hour after his Quick-Step teammate Marcel Kittel won Scheldeprijs in Belgium, David de la Cruz rode solo to victory in stage 3 of Vuelta al Pais Vasco, taking the overall race lead in Donostia, Spain Wednesday. The Spaniard barely held off a chase group that sprinted for minor placings just three seconds back. Sky’s Michal Kwiatkowski was second, and Bora-Hansgrohe’s Jay McCarthy was third. De la Cruz attacked on the last of the 160.5-kilometer stage’s five categorized climbs, Mendizorrotz, which topped out about 10 kilometers from the finish. He rode the final descent with confidence and powered to the finish, even though the chasers had him in sight. Sunweb’s Michael Matthews, who held the overall lead after his win in stage 1 Monday, finished 1:02 behind and lost the yellow leader’s jersey. The 27-year-old’s victory comes a little less than a month after his first win of the season, the final stage of Paris-Nice. 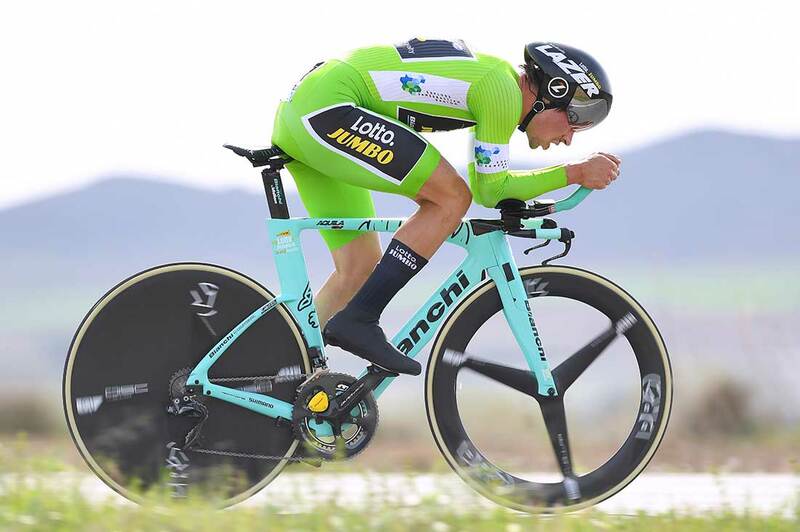 De la Cruz also showed good form with a sixth-place finish in Paris-Nice’s stage 4 time trial up Mont Brouilly. Quick-Step should be equipped to defend de la Cruz’s slim three-second lead in the overall in stage 4, a 174.1km race from Donostia to Bilbo that includes just two category 2 climbs. Pais Vasco’s battle for the overall begins in earnest Friday with stage 5’s summit finish in Eibar. “This is a very tough tour with a lot of high-quality riders, but it is true we are in a good position,” added De la Cruz.